Edinburg High linebacker, Raymond Quintanilla holds a stance before the hike during football practice at Edinburg High School Monday, August 13, 2018, in Edinburg. 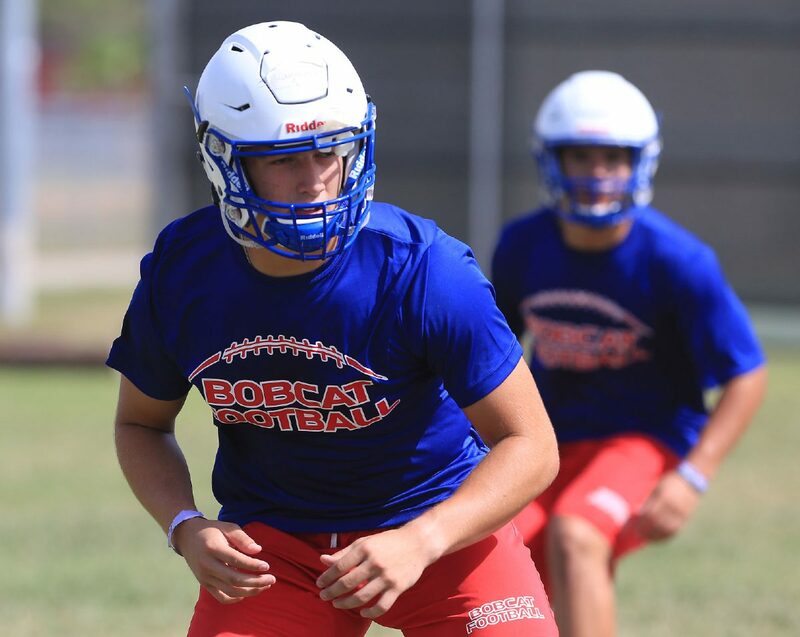 EDINBURG — Edinburg High senior linebacker Raymond Quintanilla looks like he was crafted in a factory to play linebacker. His muscular physique combined with his speed makes him a nightmare for opposing offenses. “I was never a standout player growing up,” Quintanilla said.